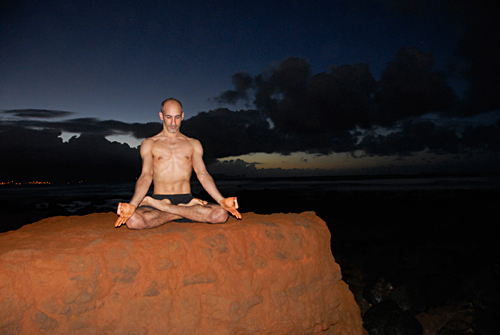 Lou Gaccione began teaching Ashtanga Yoga in 2002 at various studios throughout the Westerly, RI and southeastern CT area. 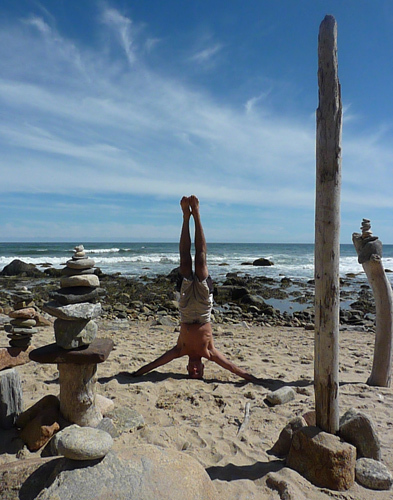 He opened ASHTANGA YOGA RHODE ISLAND in 2005. The following is an abridged list of some of Lou's training background. In addition to the following Ashtanga Yoga experience Lou also has a 10 year background of Chinese internal martial arts (Yang style Tai Chi Chuan, Hsing-Yi) and Chi Kung. Mysore, India - December 29, 2006 to January 29, 2007 at the Ashtanga Yoga Research Institute. Daily practice with Pattabhi Jois, Sharath, Saraswathi, weekly conference, Sanskrit reading and writing classes, Patanjali's Yoga Sutras classes. 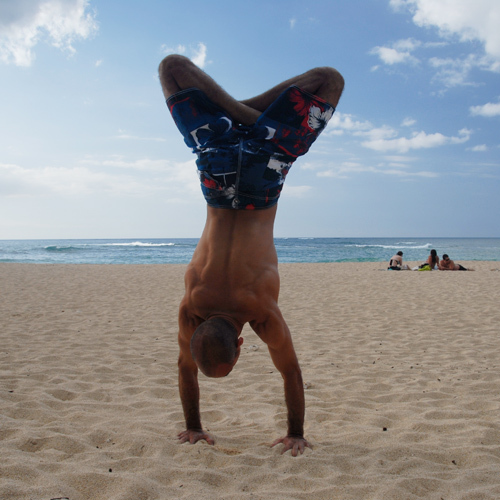 Prior to Lou's Ashtanga yoga background above, he had taken mixed yoga classes from local teachers in mid 2000 for over 2 years. Lori sought Ashtanga Yoga from Lou Gaccione in 2003 after nearly three decades of competing in long-distance running and Ironman Triathlons. Forced to give up running due to chronic knee injuries, she soon discovered that Ashtanga Yoga not only provided her with the challenging workout she craved, but did so in a safe and low impact way. Now a regular Ashtanga Yoga practitioner, Lori was able to heal her knee joints while maintaining a high level of physical fitness. It also brought relief from back pain and emotional stress, while increasing mental focus. She credits Ashtanga for bringing her clarity, structure, calmness and balance. Now with her competitive athletic career long over, Ashtanga enables her to handle the wear and tear that daily life brings. 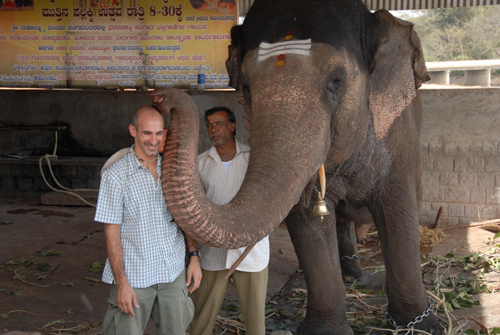 In 2006, Lori Cote received a Yoga Teaching Certificate from David Swenson. In 2009 she attended a Primary Adjustment Clinic with Nancy Gilgoff at Bristol Yoga in Vermont. She had the great privilege of participating in led classes with Pattabhi Jois and Saraswathi in NYC. In 2014 she attended a Led Primary Series clsss , lecture and pranayama with Sharath Jois on his U.S. tour. Lori has attended many additional workshops with Nancy Gilgoff and David Swenson though out the years, as well as workshop participation with Ashtanga teachers Manju Jois, Lino Miele, Christine Hoar and Kino Macgregor among others. Lori continues her daily Ashtanga Yoga practice at Ashtanga Yoga Rhode Island. Lori Cote is a Licensed Physical Therapist Assistant, Licensed Massage Therapist and STOTT PILATES® Certified Instructor. She is the owner of Aproma Studios in Mystic, Ct and Westerly, RI. She teaches and subs at Ashtanga Yoga Rhode Island. It is 12:29:40 PM EDT Wednesday April 24, 2019. Refresh your browser to update.